Blake and the Methodists explores the work of the poet and painter William Blake (1757-1827) within the context of Methodism - the largest 'dissenting' religious group during his lifetime - and contributes to ongoing critical debates surrounding Blake's religious affinities by suggesting that, contrary to previous thinking, Blake held sympathies with certain aspects of Methodism, particularly as it was preached by its founder-member, John Wesley. Farrell suggests that Blake's theology is essentially eclectic in combining different aspects of doctrine and practice from diverse religious and mystical traditions, and argues for a less radicalised perception of the writer's theological outlook than has previously been surmised by scholars. 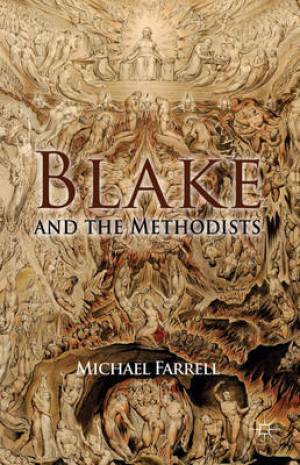 Blake and the Methodists by M. Farrell was published by Palgrave Macmillan in September 2014. The ISBN for Blake and the Methodists is 9781137455499. Be the first to review Blake and the Methodists! Got a question? No problem! Just click here to ask us about Blake and the Methodists.